On 18 June 2018, PPC Ltd announced its financial results for the year ended 31 March 2018. According to these figures, total cement sales volume increased by 6% to 5.9 million tonnes, which translates into group revenue growth of 7% to R10.3 billion. “The group has achieved key milestones in delivering on its FOH-FOUR strategic priorities that were introduced in 2017. These encompass the optimisation of the financial, operational and human capital of the group. Addressing these priorities has laid an important foundation that will enable us to create long-term sustainable value for stakeholders in future,” said PPC CEO, Johan Claassen. The southern Africa cement division’s performance was impacted by a contraction in volume. A focused route-to-market strategy helped the division achieve a 2.5% increase in selling price. 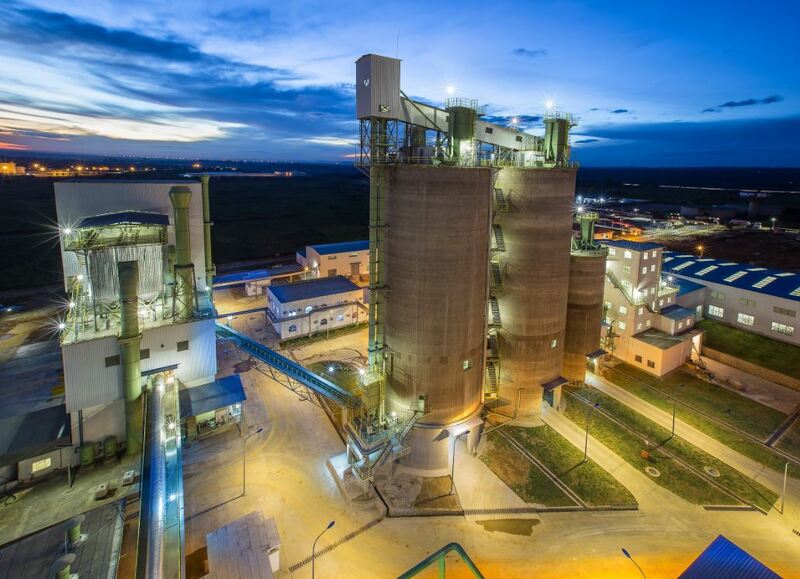 Ongoing rationalisation of head office, together with the R50/tonne cost saving initiatives implemented during the financial year as well as the integration of Safika Cement and the modernisation of the Slurry complex are expected to deliver further cost benefits in line with the three mega plant strategy. Lower performance was noted from the materials division that incorporates lime, aggregates and readymix. This was due to increased competition in a low infrastructure investment environment. “Tied to the achievement of our strategic priorities, we are working hard to entrench a performance driven culture across the business. As a first step in this regard, we have revised our values and brand proposition. Additionally, in delivering on our brand promise of ‘strength beyond’ we are working with employees to enhance our employee value proposition with a view to retaining talent and skills in the business,” said Johan. PPC expects the local environment to remain challenging but intends to defend its position in the market by leveraging its footprint, scale and focus on efficiency. On the international front, strong demand is expected to be driven by Zimbabwe and Rwanda while the DRC and Ethiopian plants ramp up. The group has also completed its major capex investments which enhanced and modernised its plants. “Management’s focus is firmly on delivering improved profitability and further improving free cash flow generation in the short term. This will be supported by reduced capex together with significantly lower interest rate charges, while considerable focus will be directed towards strategic and operational initiatives to ensure greater competitiveness and improved efficiencies in markets exhibiting lower growth,” concludes Johan. For more information, contact PPC on Tel: +27 (11) 386 9000 or via www.ppc.co.za.